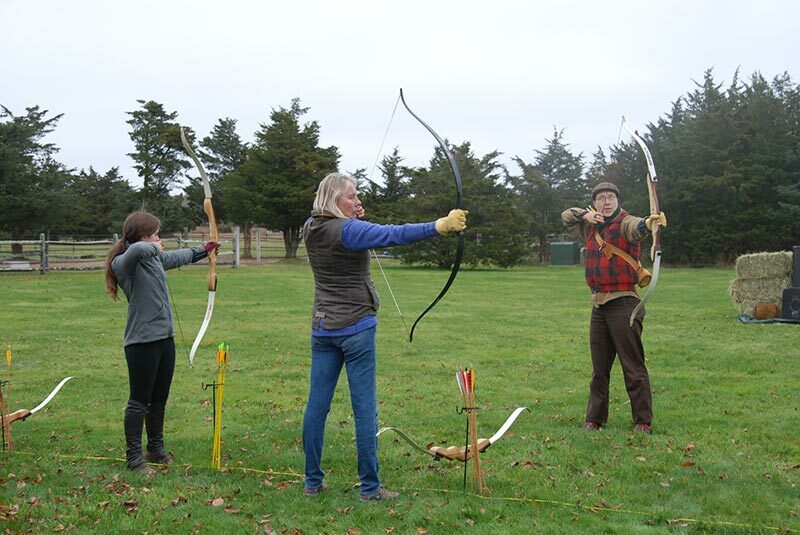 A group of Vineyard equestrians tapped into their inner warriors last Saturday and Sunday, Nov. 19 and 20, trying their hand at the ancient sport of mounted archery during a clinic hosted by the Martha’s Vineyard Community Horse Council (MVCHC) and inspired by adventurous local rider Annie Parsons. 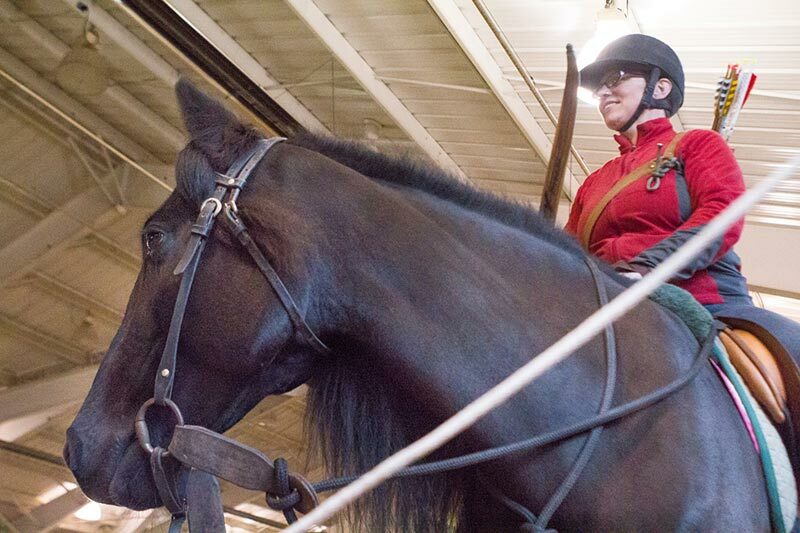 Ms. Parsons and her black Dales pony, Bucky, partake in a variety of unique riding sports. 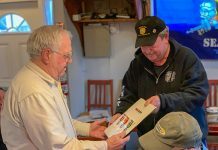 They’ve dabbled in “horse surfing” (think waterskiing, with a galloping horse as the boat), and drag hunting (like traditional fox hunting, minus the live fox). 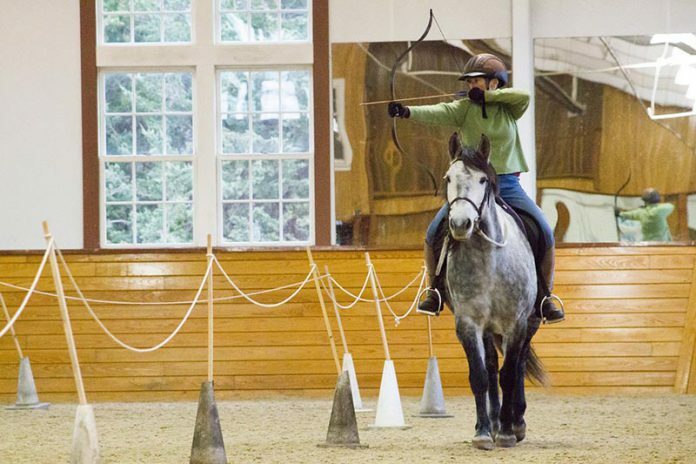 After attending a mounted archery clinic in East Calais, Vt., with horse breeder and trainer Marcy Baer, Ms. Parsons was eager to introduce the sport to Island riders. 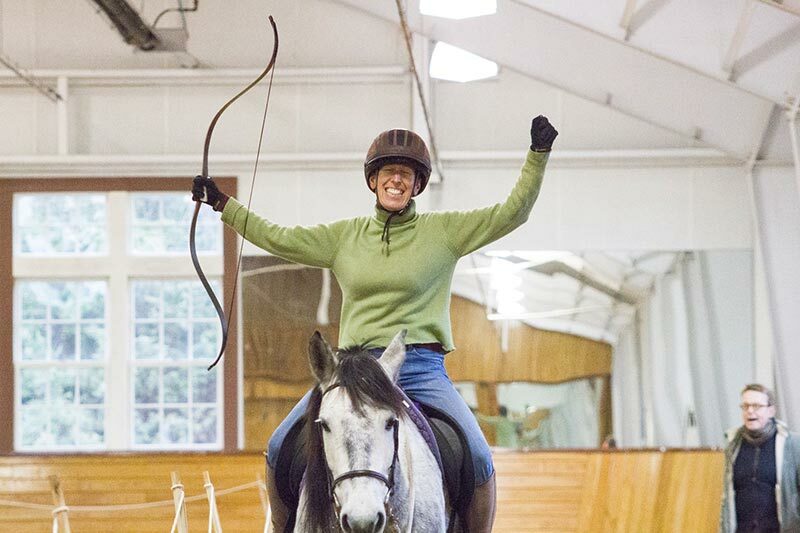 She invited Ms. Baer, along with (ground) archery instructor Murphy Robinson, to spend a weekend on the Vineyard teaching at Misty Meadows Horse Farm. 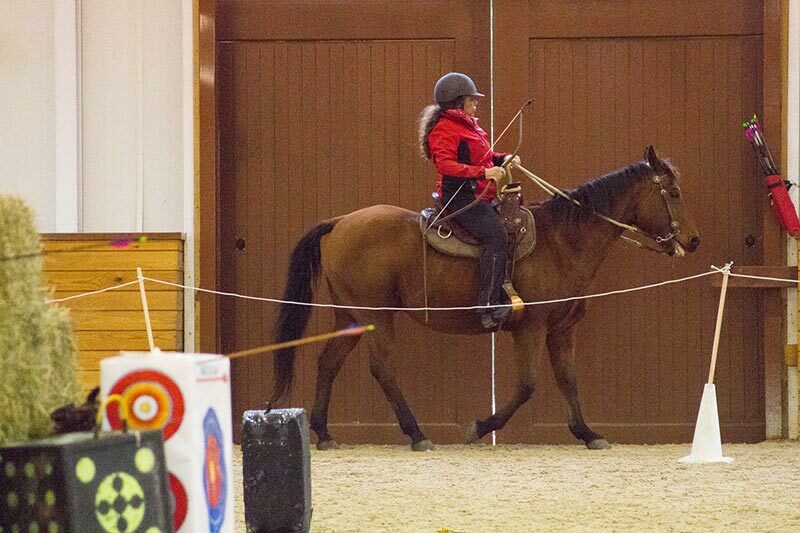 Over the two days, nine riders split into groups and built the foundation of their mounted archery practice. 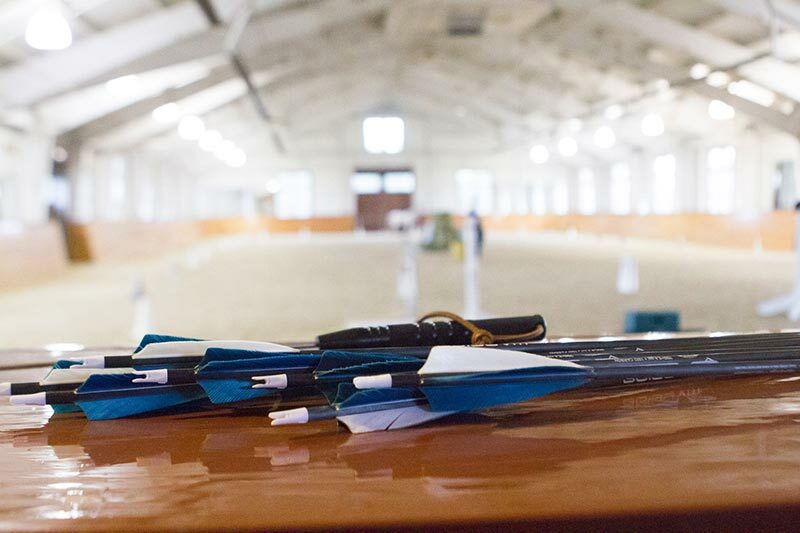 One group learned archery fundamentals from the ground while another worked in the indoor arena getting their animals accustomed to the new stimuli. 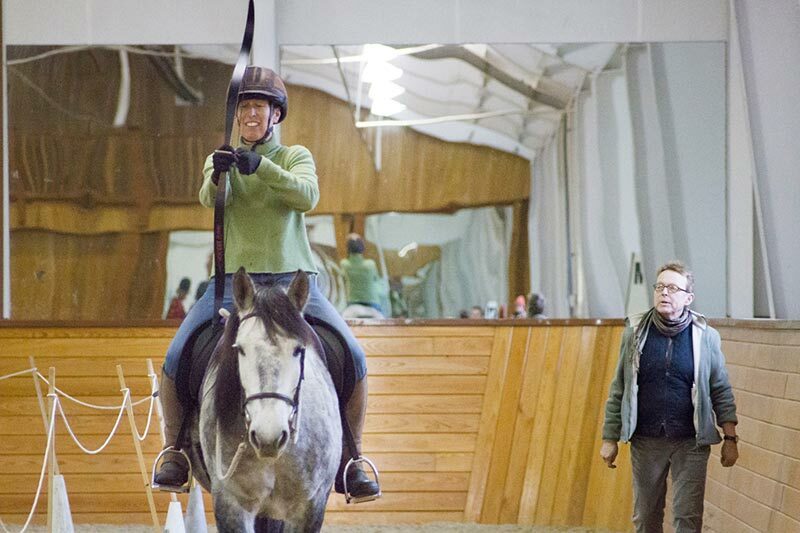 “We want to get the horses comfortable with the feel and sound of the bow,” said Ms. Baer. The women stroked their horses with foam pool noodles to help desensitize them to the long wooden bow they’d be carrying. Some horses snorted at the shooting targets set up on hay bales at the center of the ring, or cocked an ear at the rattle of arrows, but most seemed to take it in stride. The groups switched. When it was time to mount up and start shooting, Ms. Parsons and Bucky made an impressive team. 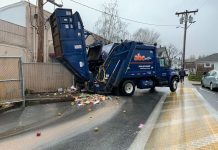 Ms. Baer called out tips from the ground. “Drop into your heels! Feel the rhythm! Lock onto the target,” she said as Ms. Parsons cantered around the roped-off track. She urged her horse faster, drew her bow, and let an arrow fly into the target with a satisfying thunk. “I’m having so much fun,” Ms. Parsons said after her ride. Rebecca Miller, an instructor at MVCHC, beamed after her turn on dapple gray mare Shayna. “It’s exhilarating,” she said. 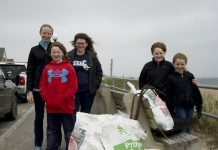 Ms. Miller is always looking for innovative programs to share with her students. 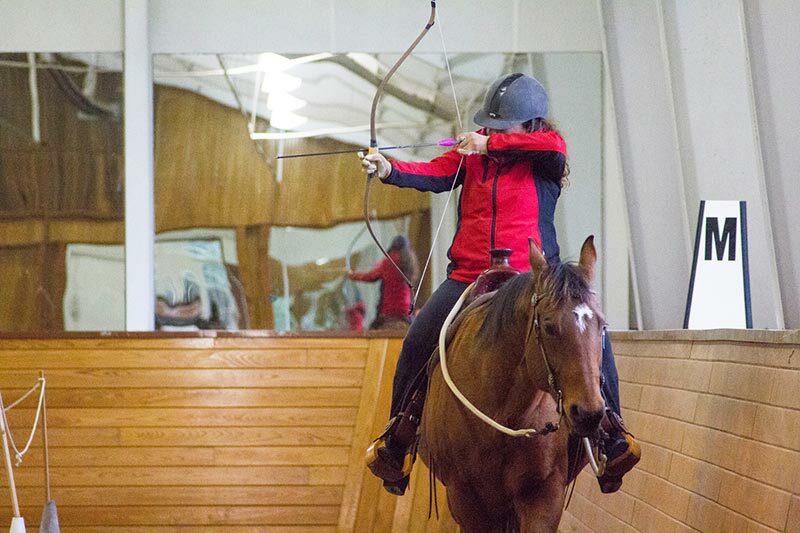 She’s hoping to share mounted archery with the kids and perhaps do a demonstration at next year’s Ag Fair. A small crowd gathered on Sunday afternoon to watch the riders practice the skills they’d cultivated over the weekend. Every time an arrow sunk into a target the group hooted and clapped with approval, and a sense of accomplishment showed on each rider’s face. “This is as much a woman empowerment weekend as an archery clinic,” said Ms. Baer. 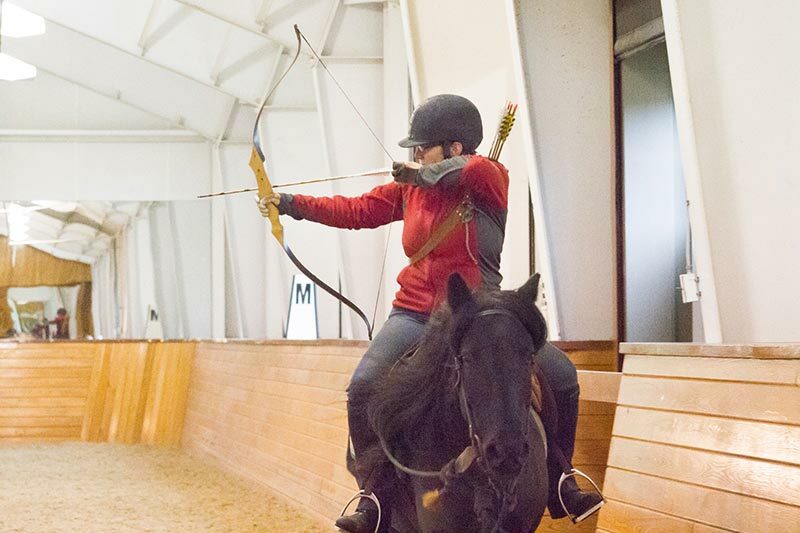 Clinic participants seemed bitten with the mounted archery bug, pleased to have something not so new to practice over the winter.